Everyone wants to have a better eye sight but they dont actually give mich importance to it. Here we try to give the best 10 Foods to Protect and Maintain Your Eyesight Naturally. Your eyes are the most valuable treasure that helps you see the world and see the ones you love. However, they are very sensitive and vulnerable by genetics, aging, effects from electronic devices like television, smartphone screen, PC desktop, and so on. These factors can cause many diseases to your eyes and even damage your eyesight. But you can deal with these issues and protect your eyesight naturally by choosing proper foods. 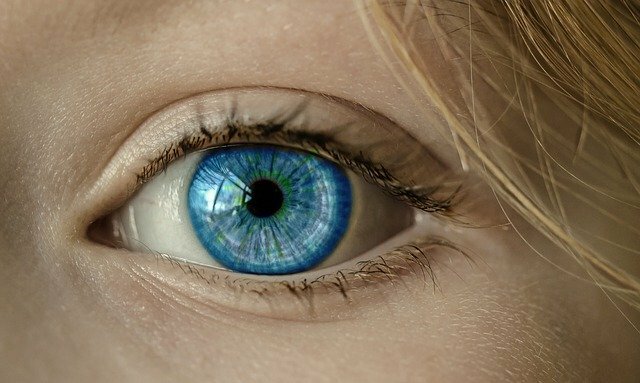 This article is going you give you top 10 foods to protect and maintain your eyesight naturally. Let’s read and plan a good-for-eye diet to protect your best treasure. Carrots contain beta-carotene, known as the precursor of vitamin A and an antioxidant agent, which makes this food really nutrient-dense and healthy vegetable. They are extremely multifunctional and make dishes more tasty, colorful and attractive. Experts claimed that eating carrots helps absorb the light energy passing through your eyes and helps your eye can adjust the light level, improves your vision at night. Carrots also help you stop the deterioration of your eyesight, protect and maintain the eyesight naturally. Moreover, this vegetable helps you get rid of inflammation and damage by oxidants, both of which are the main causes of eyesight diseases. You should eat at least one carrot every day or combine it with butternut squash, pumpkin or sweet potato. You can cook carrot soup, add them to salads, or eat them as the snack. Add little olive oil to help your body take up the nutrients better. For better effect, you should consume raw carrots since the cooking process can slightly reduce the nutrients in them. Remember to drink more water for better eyesight. Much fatty fish like tuna, trout, herring, salmon, mackerel, sardines, and anchovies are rich in omega-3-fatty acids and DHA which are good for not only your brain but also your eyesight. Omega-3s help balances the omega-6 and omega-3 fatty acid ratio, and therefore, reduce inflammation levels, improve the functions of your brain, strengthen your immune system. When you get rid of inflammation, you can protect and maintain your eyesight. Moreover, omega-3 fatty acids also prevent age-related macular deterioration and cure the dry-eye conditions and many electronics-related diseases. If you do not like eating fish, you can take omega-3-oil supplements after consulting your doctor. Poaching or frying can reduce the nutrients of the food, so, you should grill fish to eat for the best result. Consume this superfood twice a week to have healthy eyes and good vision. Spinach contains many types of vitamins like A, B, C and E. Moreover, this food is also rich in many minerals like zinc and iron, as well as some phytonutrients like zeaxanthin and lutein which have anti-inflammation and antioxidant features. Therefore, eating a proper amount of spinach every day will help avoid cataracts and age-related macular deterioration. Its minerals like zinc can maintain healthy corneas. Lutein in this food can support the formation of pigments to protect your eyes by filtering out harmful blue light waves that can damage your eyesight. You should consume 100 grams of spinach a day. You can add spinach to pasta or sandwiches, make salads with raw spinach or steam it for hot meals to eat. You can also make a smoothie of spinach and fruits to drink every day for healthy eyes. Eggs are rich in zeaxanthin and lutein, all of which help you avoid age-related eyesight problems. It also contains some essential vitamins like C and E, as well as the important mineral of zinc which makes the egg yolk yellow. Moreover, eggs provide you with important and necessary amino acids, a fat-soluble vitamin and water-soluble vitamin. Moreover, the egg yolk is low in cholesterol, so it’s healthy and heart-friendly. You should eat poached, boiled or soft-boiled eggs to protect and maintain your eyesight. You can also add eggs to other dishes for further favorite tastes. Vitamin A is one of the essential nutrients for healthy eyes which helps improve the functions of the visual system and maintain your eyesight. If you do not like carrot, you can consume celery instead as this vegetable is very rich in vitamin A. Vitamin A in celery helps keep the tissues in your eyes healthy. When these tissues are healthy and work well, the visual information is interpreted better before being passed to your brain, and therefore, your eyes can see the images more clearly. Additionally, this food protects your eyes from many harmful lights like blue light and UV light. It also keeps your retina healthy. Celery helps avoid genetics-related eye diseases, too. Each stalk of celery supply you 10% recommended amount of the vitamin A every day. So, eat raw celery, drink celery juice or combine it in some dishes in your daily meal to get more benefits from this food. Nuts contain a lot of essential nutrients to the health of your body and your eyes, such as healthy fats, omega-3 fatty acids, vitamin E.
Beans, and legumes are abundant in bioflavonoids and zinc. These nutrients are all essential for your eyesight. Vitamin E helps you get rid of cataract condition related to age. Zinc and bioflavonoids play important roles in protecting your retina. Some recommended nuts, legumes and beans that you should eat in the daily meal are walnuts, Brazil nuts, cashews, peanuts, lentils, chickpeas, kidney beans, sprouts and green peas. Be careful with the amount of these foods and avoid overeating them. Kale is another nutrient-rich food which contains, like spinach, essential minerals like copper, potassium, and manganese, vitamins like A, B6, C, lutein, beta-carotene, and dietary fiber. Each 100 g of kale contains around 11 mg lutein. Moreover, kale is very rich in vitamin C. Specifically, in each cup of this food, vitamin C contribute 88.8%. So, this food strongly assists to protect your eyes from oxidative and light damages, macular cataract and regression related to age. You should consume kale in soups, salads, sandwiches or wrap in daily meal to protect and maintain your eyesight naturally. Radish is a vitamin-A-rich food which helps improve your eyesight naturally. Lacking vitamin A in a long time will actually lead to deterioration of the photoreceptors in the eyes and affect negatively in your vision. Moreover, this food also contains vitamin E which helps reduce the risk of eye diseases like macular generation and cataract. If you lack vitamin E, the central area of the retina will break down which leads to blurred vision. That’s the symptom of macular degeneration. Cataract is when you have foggy vision because a thin layer is formed over the leans. To treat these conditions, you should consume radish every day to absorb more vitamin A and E.
Lacking of the mineral of zinc can lead to macular deterioration of the central area of your retina and cause the sight loss. Red meats like beef are great sources of this mineral. Zinc does not only help slow down the sight loss related to age but it also promote the release of vitamin A from your liver to support eye tissues, protect and maintain your eyesight. You should eat a serving of lean beef twice a week with 1 – 2 servings of baked bean to get enough zinc. Besides beef, you can get zinc from pork loin and chicken breast but they contain less than beef. Citrus fruits, like oranges, lemons berries, kiwis and grapefruits, are abundant in vitamin C which is an antioxidant nutrient helping your eye muscles get rid of age-related damage. This vitamin also boosts your immune system to help you get rid of inflammation. Vitamin C also keeps the blood vessels in your eyes healthy; helps protect and improve your eyesight. To have healthy eyes, you should get 400 international units of vitamin E, 500 milligrams of vitamin C, 10 milligrams of lutein, 80 milligrams of zinc oxide, 2 milligrams of zeaxanthin, and 2 milligrams of copper oxide every day. Besides diet, you should follow some tips to get rid of eyesight problems. You should do eye exercise like rolling, palming, focus and non-focus to strengthen the eye muscles. You should splash water on the eyes to cool them after using electronic devices. Every 30 minutes, close your eyes to have a short rest in 2 – 3 minutes. You should also adjust the light of PC desktop, smartphone, iPad screen to reduce damage by harmful blue light. Remember to wear sunglasses when going out to prevent UV light. Have your eyes checked by the doctor and use appropriate spectacles. These are top 10 foods to protect and maintain your eyesight naturally. These foods are nutrient-rich foods which are good for not only your eyes by also your body. Besides a healthy diet, let’s do some exercises and do some tips to protect your eyesight from exterior damages. Keeping your eyes healthy is a very important task to have a healthy, beautiful. and happy life. This guest post is by Emily Pham, a blogger with many years of experience in searching the best effective remedies for beauty and health issues.